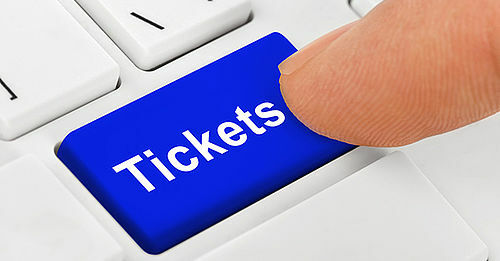 13.02.2019 | The ticket shop is online - book your ticket now, save money and visit HAM RADIO without waiting time! Every year, it is a lot of fun to come here to Friedrichshafen to meet friends and acquaintances and make new contacts. The Ham Radio is a traditional trade fair for our company and a must. We are satisfied with the response to our appearance here. Because we only sell our products through retailers, we are primarily at the Ham Radio to cultivate our image. It is worth pointing out that the exhibitors here are primarily focused on amateur radio, something that will hopefully stay that way in the future. We are at the Ham Radio for the first time and are satisfied with our appearance. We have a large base of loyal customers who came to see us, so we are satisfied with our sales, which did not register any major differences compared to last year. The Ham Radio remains the highlight in amateur radio. The Ham Radio not only holds great significance for our association, but for all of the associations around the world; it is a kind of pilgrimage for us. This year, we had a lot to do at the Ham Radio. We had a couple of new products and were here to present and sell them. Fri. and Sat. 9 a.m. to 6 p.m. | Sun. 9 a.m. to 3 p.m. 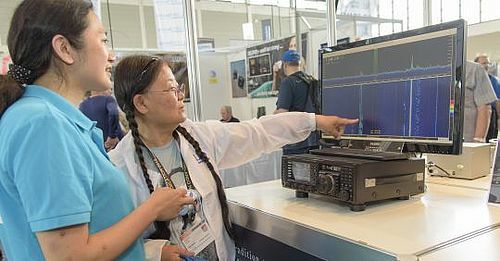 In this spirit HAM RADIO from 21 – 23 June, 2019 will be welcoming international radio amateurs with open arms. This year’s motto suits us down to the ground because our guests will be coming here from every corner of the world.